Suman Phogat | I.K International Publishing House Pvt. Ltd.
Suman Phogat did his D. Pharma, B.Sc. (Med.) , M. Sc. (Chem) from the Maharshi Dayanand University, Rohtak with first division and Ph.D. in Chemistry from Chaudhary Charan Shing University, Meerut. She has also done B.Ed. and M.Ed. Degree from the Maharishi Dayanand University, Rohtak. She had been actively involved in teaching of chemistry and Science education in the School and college level for the last 10 years. 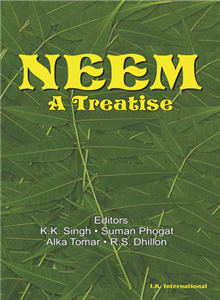 She has contributed a number of research papers on synthesis and biological activity of organic compounds in the reputed Journals. She has also contributed book chapters and articles on various aspects of environmental degradation and resources conversation. She has also one book published in her credit.